The last 2 years have seen quite a lot of Internet of Things product launches. Most of these have broken new ground and provided unheard of capabilities to the man-on-the-street. We have seen home defenses go up to unseen heights through the use of Home monitoring systems. These systems have the capability to remotely control doors, cameras and even automate notifying police based on internal intelligence. New baby monitoring products that have provided parents with capability to minutely oversee every aspect of the baby, so much so as to satisfy even the most neurotic ones among us have come through. This first truly mass wave of products has given the mass customer the capability to monitor and control various aspects of their lives in amazing ways. Think back just 5 years – did you think we could have a smart-health-watch which could automatically call 911 if it felt the user’s heart rate was reaching dangerous levels? How about the now relatively commonplace capability of “smart sprinklers” to monitor weather patterns and automatically optimize their operation? Unfortunately, while this has been a boon for the mass customer, this linear strategy has not led to strong returns for the manufacturer. 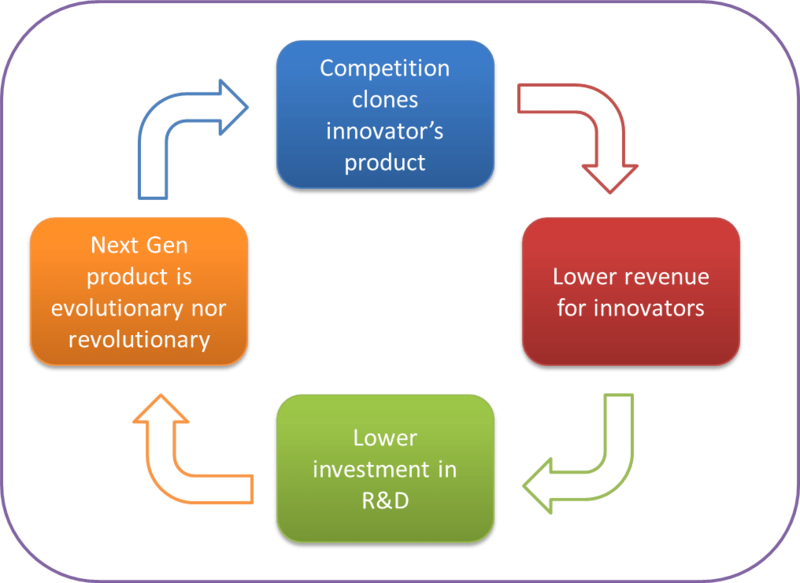 Competitors have caught up quickly with these products and have led to a strong, sudden and fast drop in rates – leading to a vicious cycle of falling revenue for the first innovators, leading to lower investment in next gen R&D, resulting in lower quality products. The problem is quite widespread. Knockoffs of popular products have always existed, but given today’s customers’ cost-centricity coupled with easier availability of these products thought eCommerce, problems have magnified. Can you identify which is the “better” more versatile product? I for one couldn’t, primarily owing to how close all products resemble in their feature sets. Sadly, this means that the customer will choose based mostly on cost, not capability – leading to our original vicious circle. Not even remotely. However the second wave will have to embrace the collaborative nature of the internet of things model better than they have right now. Let me illustrate using a current product capabilities and scenario versus one of tomorrow. This devices uses the data generated/captured by its sensors to generate the cloud based report, which does a comparison of similar people in the demographic and provides a snazzy report. Automatic data transfer to compatible La-Z-Boy massager – which massages based on the amount of steps taken and calories burnt during the day optimized by the heart patterns. In addition to the general improvements in pedometer, monitor and counter, the key change here has been an interface development with the massager/recliner. Not only is it tremendous value to the consumer, but it is also very much something internet of things devices must be inherently capable of. These devices survive by generating, consuming and taking action upon data – sharing it is a simple extension that unlocks strong customer value. However, it is also dependent upon the development of an interface which is next to impossible to copy. Your device interfacing with a second device requires both technological and more critically business involvement. These capabilities take time to develop and successful handshakes are determined by long term road maps and associated considerations. While a competitor can replicate features delivered by one device, it is a far longer shot to copy features delivered by the synergies between two devices. Create a product delivering the base features of the fitness tracker. This choice means the product will lack all the capabilities delivered by the synergy between the two products. Essentially, any product delivered will be unable to compete with our innovator based on USP alone, and therefore the manufacturer has every right to charge a premium. This choice requires substantial time and expenses to realize. Essentially, if the copycat is driven enough to develop and launch these, he would have wasted substantial time and energy, ultimately giving the innovator enough time to come up with his next version. In addition, no copycat can possibly deliver these “cheap”, and therefore there is no cost advantage to be had. Partnerships have long been exploited as a tool within the corporate strategy toolkit to gain a capability and feature set advantage over the competition. Even when we look at the world around, most companies in different industries are operating in this model. Google, through its software Android has a partner in HTC, Samsung, LG and other hardware makers. Eat24 has partnered with Yelp. Apply Pay with MasterCard. Even old world industries like Retailers and Fashion houses have had their share of exceptional partnerships including Christian Dior with Colette. 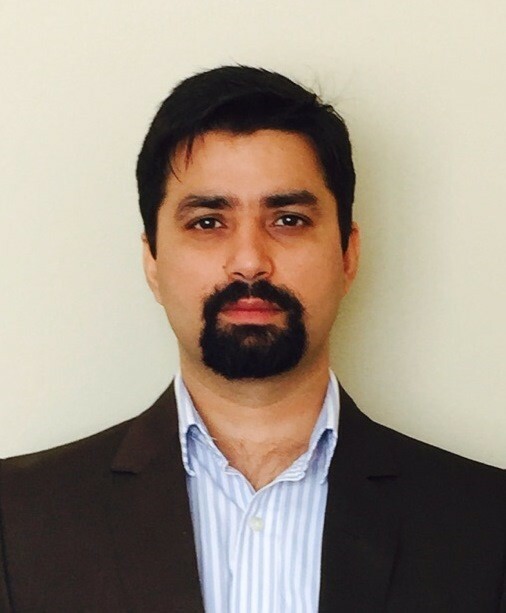 The IoT industry has inherent advantages owing to its data-in-the-cloud model. It is a simple step to share this data with strategically selected partners. Question is, will the industry players go the extra mile and deliver something revolutionary, or are we destined to forgettable products?